IT'S SOFT! IT'S SWEET! IT EVEN BARKS! 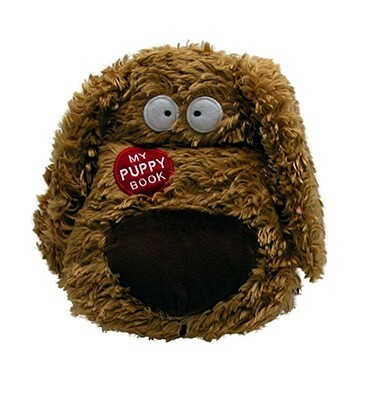 Here's a snuggly plush puppy book with squeeze-it bark, and a soft terry cloth tongue, smooth satin teeth, and six padded cloth pages of friendly rhyming text. Sort of a book, sort of a toy, sort of a blankie, Boynton's My Puppy Book is an absurdly soft companion for the smallest of book lovers -- for car rides, for quiet times, for right this moment.